Technologist Rein van der Mast together with dutch designer are going to make you fall in love, in case you aren’t already, with fountain pen. 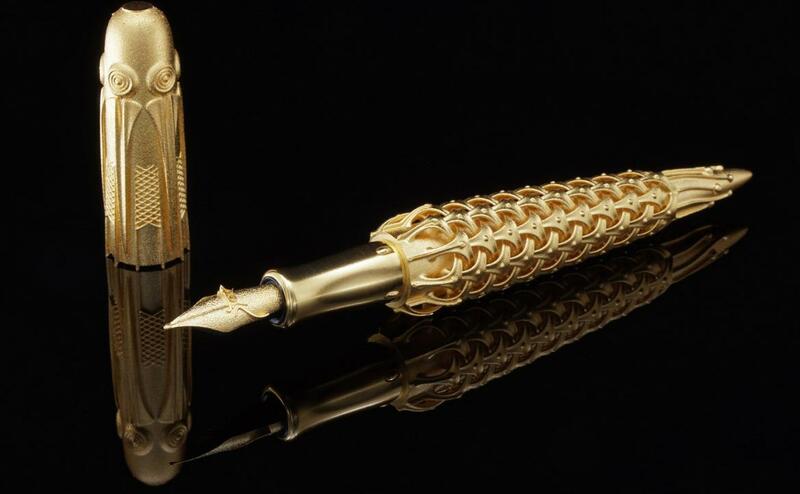 His latest designs use 3D printing technology to create intricately detailed fountain pens out of precious materials like 18k gold and silver. Named Spica Virginis, the designers masterpiece meant to resemble an ear of grain and are named after the brightest star in the constellation Virgo. 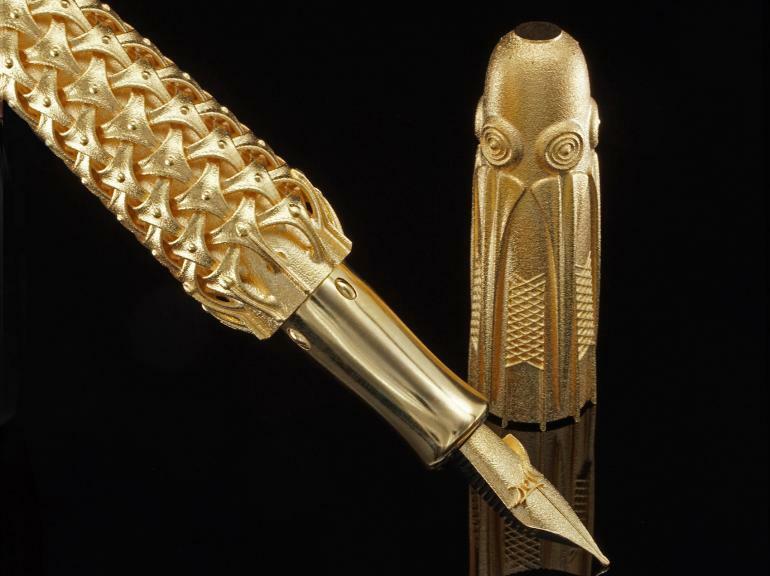 The pen is available in 18 k yellow gold as well as white gold, but it is the yellow gold version that captures the look of grain in the sun. The ‘non-uniform lattice’ structure of the pen can only be created through 3D printing. 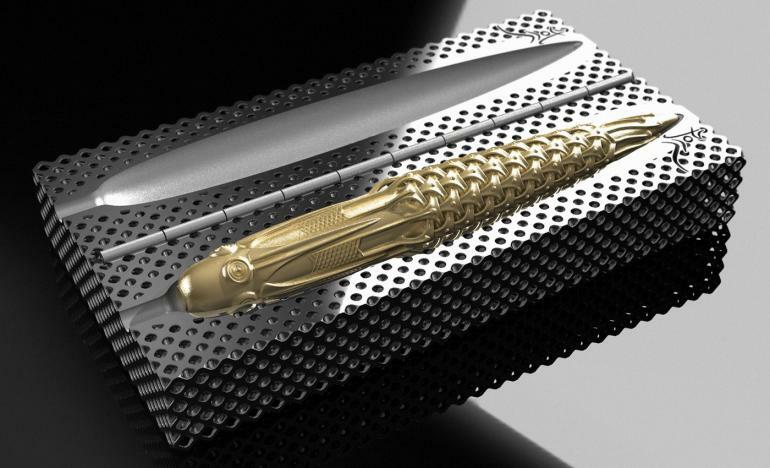 There is also an element of innovation to these pens, as they are the first in the world to feature 3D printed nibs. “For people who prefer the lightness of titanium, which is less than 1/3 of the density of gold, we offer our titanium version plated with a thick layer of 24K gold with a tiny amount of cobalt for better wear resistance,” said Van der Mast.